When you are running a business that depends on your garage door working at peak performance, then a commercial garage door opener will keep your business humming. 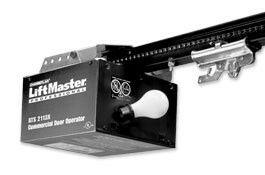 Unlike residential garage openers, commercial operators are specially made to handle the heavy work load of industrial job sites where garage doors are opening several times an hour. 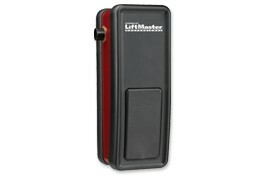 At Jaydor, we know exactly which Liftmaster operator will work best for your business and we are able to provide top of the line service that will keep your doors moving for years to come. Trolley operators are primarily used for standard lift sectional doors and come in light, medium and heavy-duty to address any need. These versatile openers are at home in a residential setting, but can also be used for commercial or heavy-duty industrial applications. The low profile design of the Model APT is perfect for both apartments and houses. With features including a resilient-mount motor and industrial strength ball bearings on the output shaft, this opener is durable and provides quite operation. The automatic saftey reverse and door stop feature on this light-duty trolley operator makes it one of the safest, most repliable commercal operners on the market. Also featureing a maximum run timer and an auto-reconnect trolley, the Model ATS is the best in it's class. The Model T is the work horse of industrial trolley operators and is specifically designed for standard lift sectional doors. The built in maintenance alert system tells you when it's time for a tune up and the low profile design is sure to compliment your commercial garage doors. 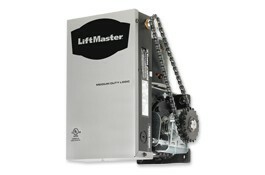 This compactly designed medium duty trolley motor is perfect for standard lift sectional doors. 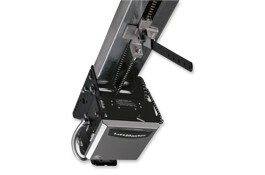 The quick-mount bracket makes for easy set-up and the gliding rail spacers make virtually no noise. 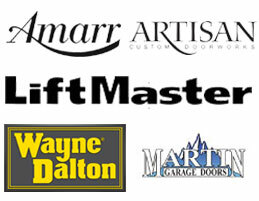 The Model MT is an all around great commercial door opener! 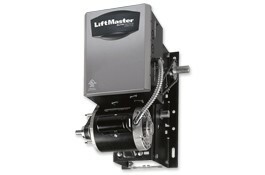 Jackshaft operators are mounted on the wall next to a garage door and utilize a motor that uses pulleys and cables to raise the door. 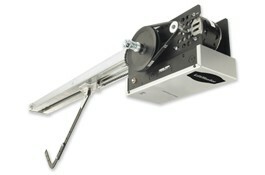 Jackshaft openers are known for being reliable and quiet and are most often found on rolling gates, shutters and doors. 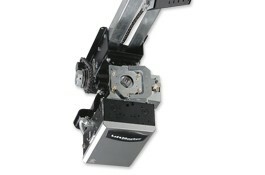 Availabe in light, medium and heavy duty models for any application. 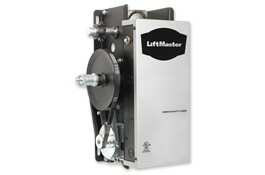 Great for rolling grilles or shutters, this Model LGJ is a reduced gear operator featuring an internal door lock circuit, compact design and floor-level disconnect. Another great operator for rolling grilles and shutters, the Model MGJ is compact and features a high-starting torque motor and heavy-duty wormgear reducer. 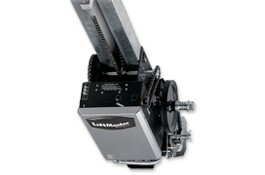 This Logic jackshaft operator features a compact design, adjustable friction clutch, a standard solenoid breake and a high-starting torque motor. Fire door release devices are designed to accompany and enhance the performace of fire doors and shutters by taking control of closing the doors. A signal from a fire alarm system or a smoke/heat dectector tells the device when to seal off the doorway and secure the area. Fire door release devices are built to keep property damage at a minimum and provide top of the line safety and security. Used in concert with any standard commercial garage door operator, the Model AFCB will provide a fully automated door closure system. Able to operate on any power source including 120VAC, 24VAC and 24VDC, The Model XPBB also functions as a localized fire alarm system for added protection.